ClickDealer - join the leaders of performance marketing! CPA Elites - CPA Marketing Forum Affiliate Network Groups & Listings CPA Networks & Affiliate Programs Approved Network ClickDealer - join the leaders of performance marketing! Approved Network ClickDealer - join the leaders of performance marketing! As a rule we reserve 72 working hours to review an incoming application, but our team always tries to provide feedback sooner than that. It might also help if you take initiative and follow up on your application to expedite the approval process. Lol, it's been a week, not "72 hours". No thanks, I wouldn't touch your network with a 10-foot pole now. Good luck, you're going to need it by treating people like this. Hundreds of better options than yours. Here’s a fresh pack of top converting US leadgen offers from ClickDealer! Traffic not allowed: no misleading, no incent, no adult, any usage of the word "Free" or promotion via SMS/WAP is strictly prohibited. 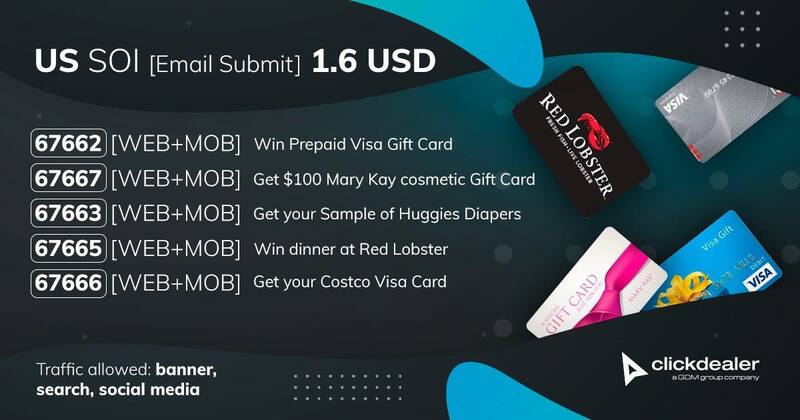 For more details please contact your manager on Skype. If you haven’t joined us yet - sign up here! Extremely hot Adult offers with shocking payouts! 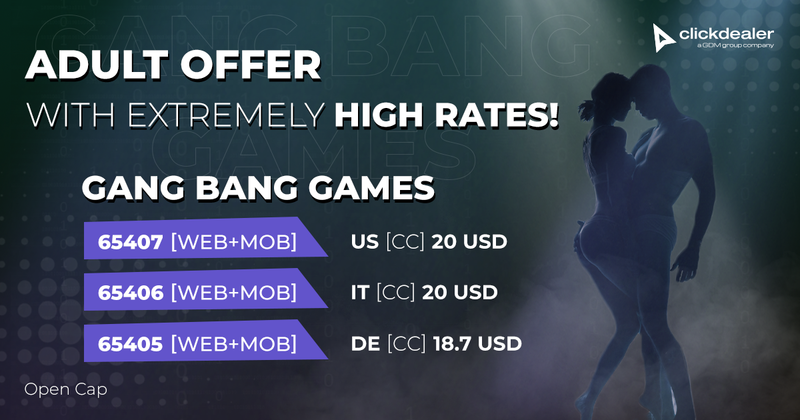 The offers are too hot to ingore, add a spark and make that pixel fire! Our affiliate managers will gladly provide you with the additional info. Don't have a manager yet? Sign up here! ClickDealer’s newly released Dating smartlink is a hit with affiliates, and hundreds of our partners are already scaling their campaigns to serious volumes! Waste no more time on endless routine optimizations - fill out a short registration form and enter a new level of marketing! Some people fold Samsungs, others fold banknotes. 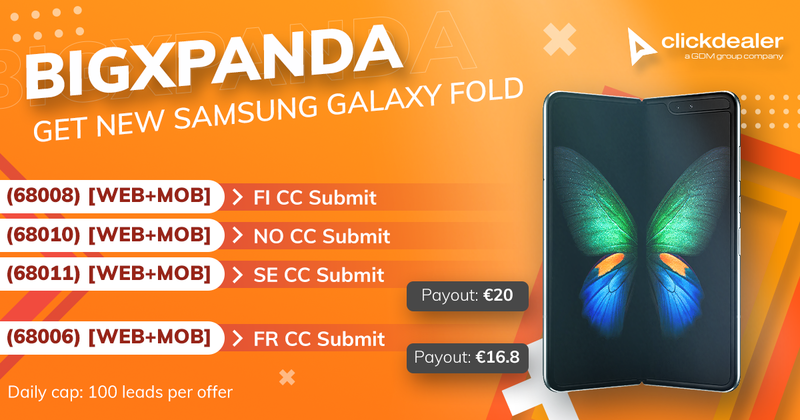 Take any of these offers for a spin and you'll be doing both, just don't try to fold the whole stack at once. It won't even bend. Daily cap - 50 leads (per pub per offer). Default landing pages is the best converting. The landing pages have a shortened flow, which majorly reflects on the CR. Set them up and see for yourself! ok I am interest to try your offer.